Olivia (Liv) Davi was born in Monterey, California where she studied ballet and modern dance since she was 5 years old. Liv was a member of the UCSB Middle East Ensemble dance company for five years, where she studied authentic styles of folkloric, classical, and modern Middle Eastern dance. She received a full-ride scholarship to the Mendocino Middle East Camp in 2015, where she trained with world-class performers including Shahrzad Khorsandi. 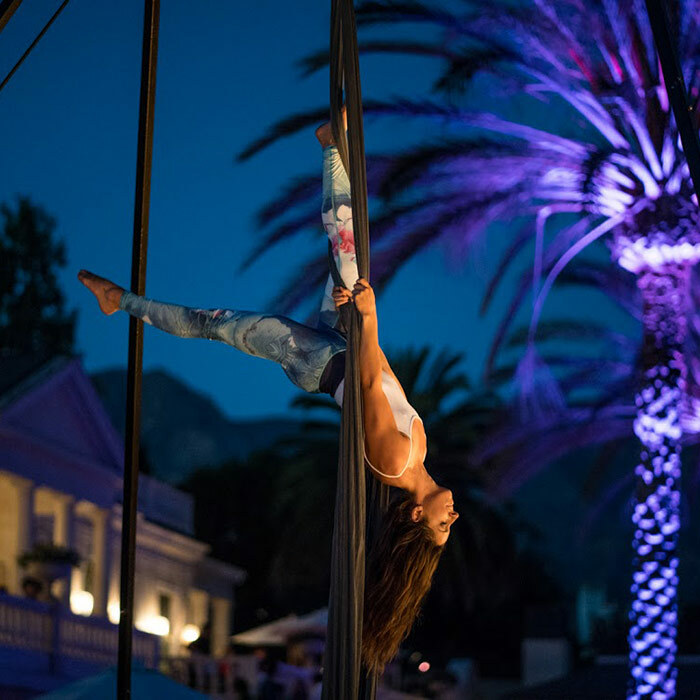 She has trained in aerial arts since October 2016 under the instruction of Autumn McIntyre and other teachers at McIntyre’s studio, Elevated Dreams. She performed with Santa Barbara’s AIREDANSE Collective from April 2017 to October 2018. Liv continues to collaborate and perform throughout the Southern California area.